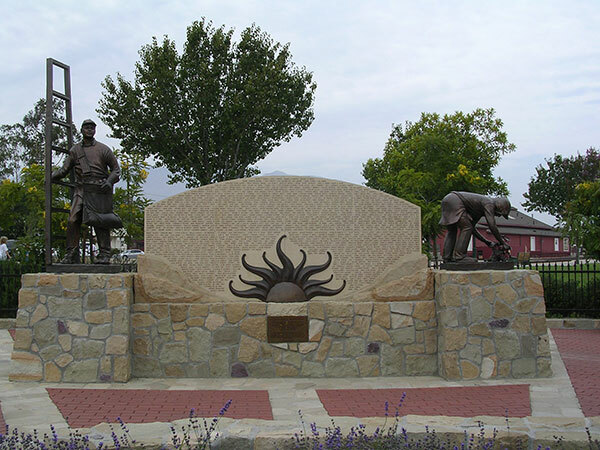 Farm Workers Monument commissioned by the City of Santa Paula. Lake Arrowhead sculptor Brian Arthur has been giving shape to artistic concepts for decades. Early in his career, he collaborated on such major public works as the Iwo Jima and Harry S. Truman monuments in Washington, D.C. The bronze figures are part of a monument to farmworkers that was dedicated Sunday in Santa Paula, a small agricultural community in Ventura County. Albino Pineda, who conceived the monument, said he hired Arthur for the project after meeting him in the Ventura studios of Hilario Galeana, who did the bronze castings.